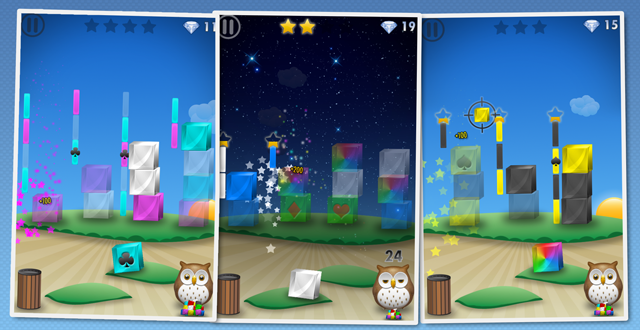 Shiny Bricks puzzel game has a refreshingly easy and natural gameplay. Simply drag and drop bricks to finish off the levels. Shiny Bricks is free to play, download and try it out! Shiny Bricks features a great and easy to understand in-game tutorial, you will love it! Just drag and drop and match colors, simply as that. Finish the level before the owl falls asleep. Starting out really simple, gets challenging, v1.0 introducing 5 unique and fun features. 45+ levels of challenging puzzles! And free updates with new puzzles and features!